If you follow me on Instagram you've been seeing my empties as I use them, but what were my thoughts on these products? Would I repurchase them? 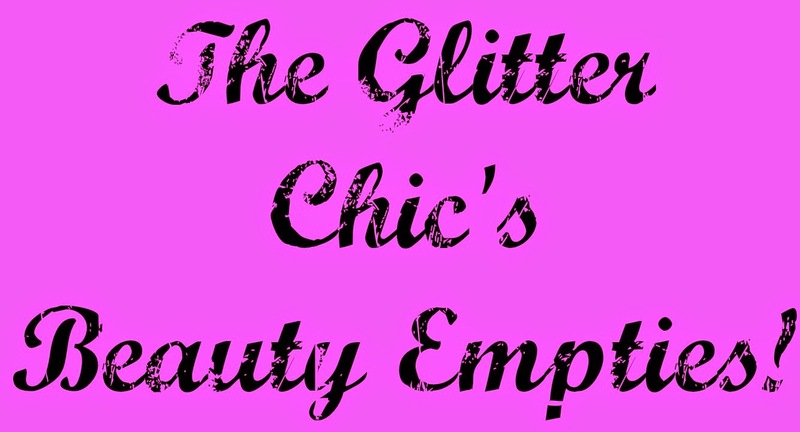 Find out in this monthly collaboration of all my empties! 1 & 2. Eye Luv Me Lashes in Jenn & Kylee - These were really long and full lashes, but this is my favorite brand. These were comfortable, and nice to wear while I had my contacts in - but when my eyes dried out and I had to put my glasses on they were way too long. I'll stick to the more natural styles from now on. 3. Philosophy Clear Days Ahead Acne Treatment & Moisturizer - This was perfect last summer when my skin was really oily and breaking out like crazy. I've learned a lot about my skin since then, and now that my skin is in a good place I find this to be way too harsh for me, so I tossed it. 4. Olay Fresh Effects Make-Up Removal Wipes - These were ok for removing makeup, but they burned and made my eyes water if I got anywhere near them. I struggled to use up the whole packet, and definitely won't repurchase. 5. Sum37 Waterful Timeless Water Gel Essence - This has a lot more fragrance than I thought. It felt nice on my skin, absorbed really quickly, and I think it added a bit of moisture. I'm not sure if I'd buy the full size, but I do have more foils to try. 6. Neogen Code9 Gold Tox Tightening Pack - I really liked these and would consider repurchasing in the future. This is my second tub, and I have a review I wrote about the first one here on the blog as well. 7. Ion Color Solutions After Color Sealer - I purchased this from Sally's Beauty Supply to use as an after-color conditioner and it stunk. Literally. 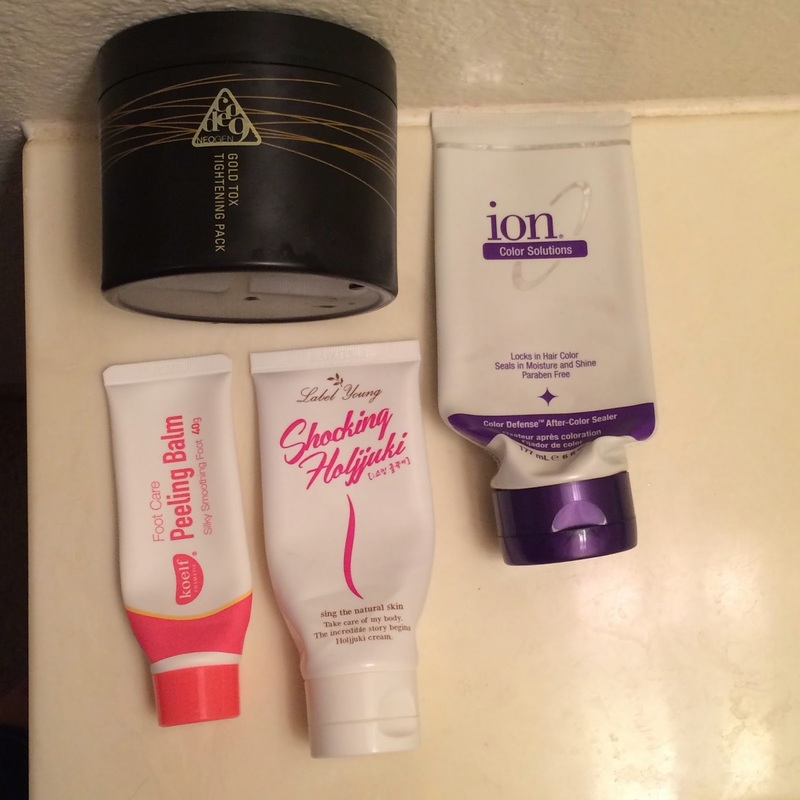 The smell was awful and I could barely finish the tube. It also didn't moisturize my hair at all, nor did it help seal in my color - terrible product. 8. Koelf Foot Care Peeling Balm - This is a balm you use after using a foot peeling mask to help soften up the skin and allowing the mask to peel the dead skin to peel away better. This was nice to use before bed, but I think regular lotion is just as good. 9. Label Young Shocking Holjjuki Lotion - This is supposed to be a slimming lotion for fatty parts of the body. It gave a strong warming sensation to my skin, but I don't feel like it helped to firm up or slim down anything. Fun product, but ineffective. 10. Paula's Choice Resist BHA 9 - This was very thick and was hard to use as a spot treatment because the pump always went down all the way. When I was having a bad breakout, I would take one pump and massage it into my face over moisturizer. This was a very effective treatment, but it's expensive, you don't get a lot, and it doesn't absorb well. 11. Iope Bio Activator Plant Stem Cell Active - This was a cream, like a moisturizer, but it absorbed into my skin as soon as I applied it and didn't leave lasting moisture. I used it with the Essence and it was very nice on my skin. I don't feel it's needed though. 12. 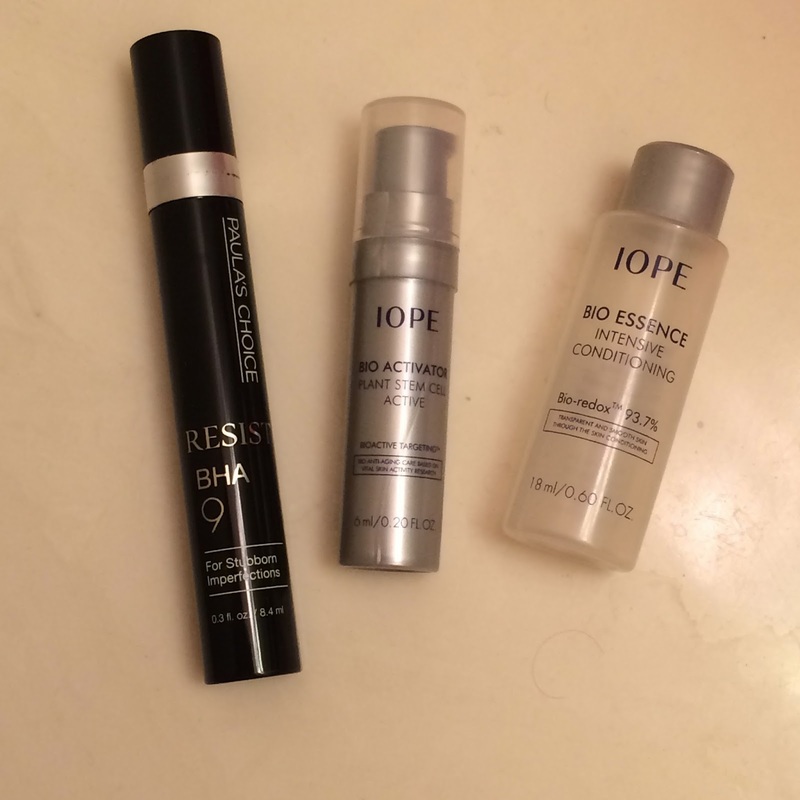 Iope Bio Essence Intensive Conditioning - I love this Essence. I use it as a conditioning toner before my vitamin c serum in the morning and it gives a nice bit of hydration that lasts between skincare steps. 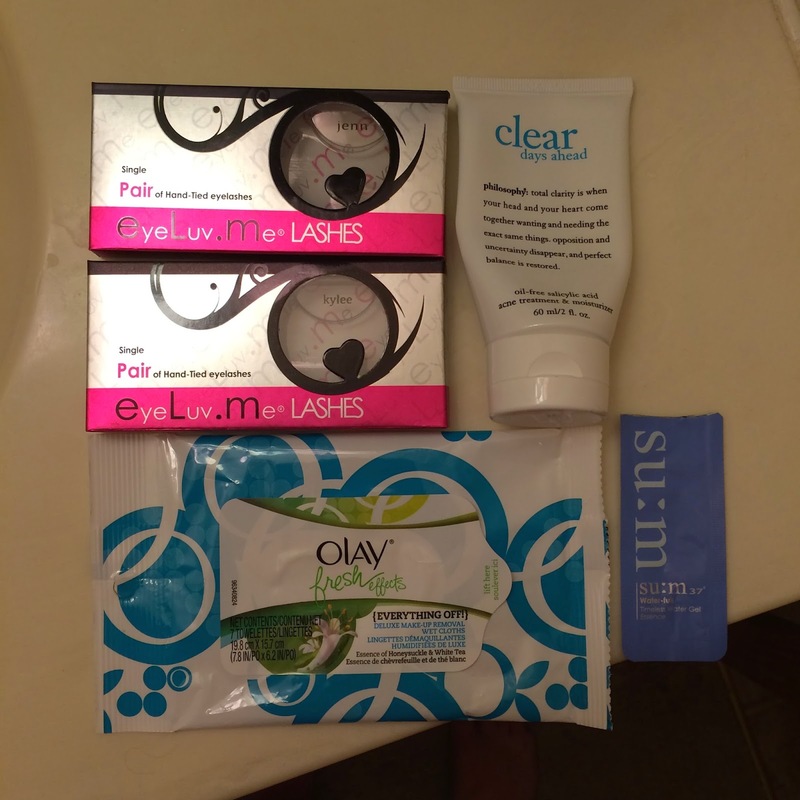 My skin was a little brighter with daily use, but I do like cheaper (similar) products just as much. 13. 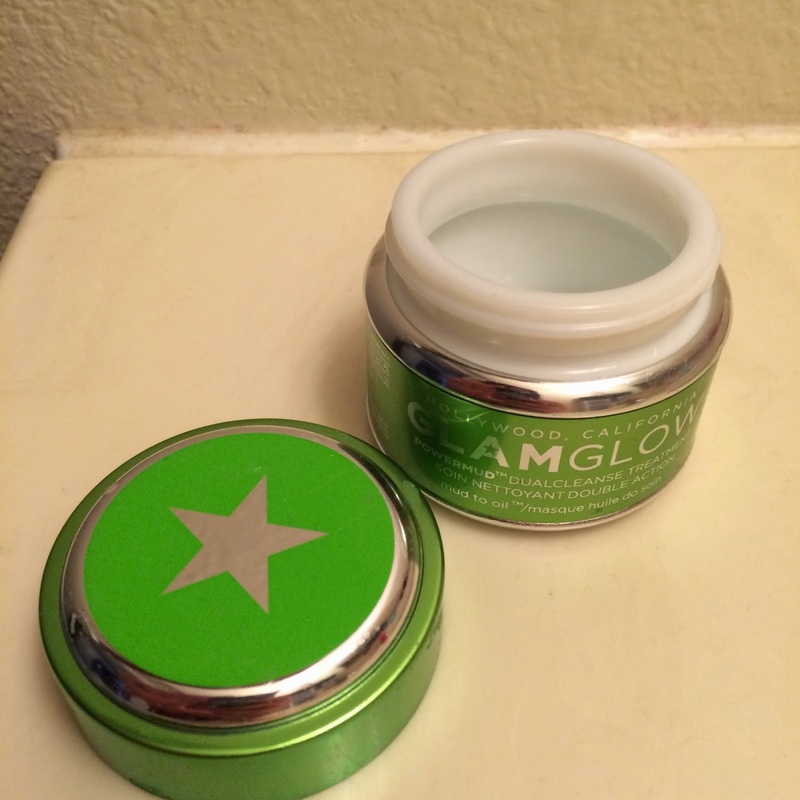 GlamGlam PowerMud DualCleanse Treatment - I'm pretty sure this is my favorite GlamGlow mask. It's gentle, doesn't get so hard that it hurts your skin, it deep cleans, and it gently exfoliates when you wash it away. I will definitely repurchase when I can afford it. 14. CeraVe Foaming Facial Cleanser - This is a nice, cheap, low pH cleanser that did amazing things for my skin. My only complaint is that it doesn't remove any residual makeup residue from oil cleansing, so it ranks one step below my Philosophy Purity one-step cleanser. I'm sure I'll buy another because it's great for minimal makeup evenings, and mornings of course. 15. 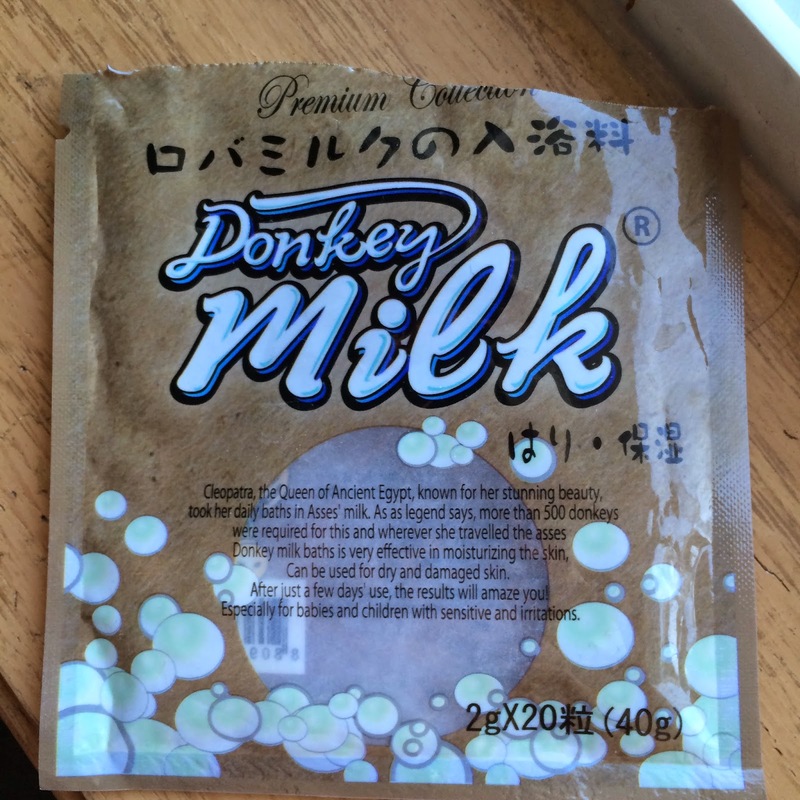 Premium Collection Donkey Milk bath tablets - These are a must-have for my baths from now on. They smell like a sugary sweet cream and fizz nicely in the water. But the best part is they make your skin super buttery soft. You can read my full review here on my blog. 16. 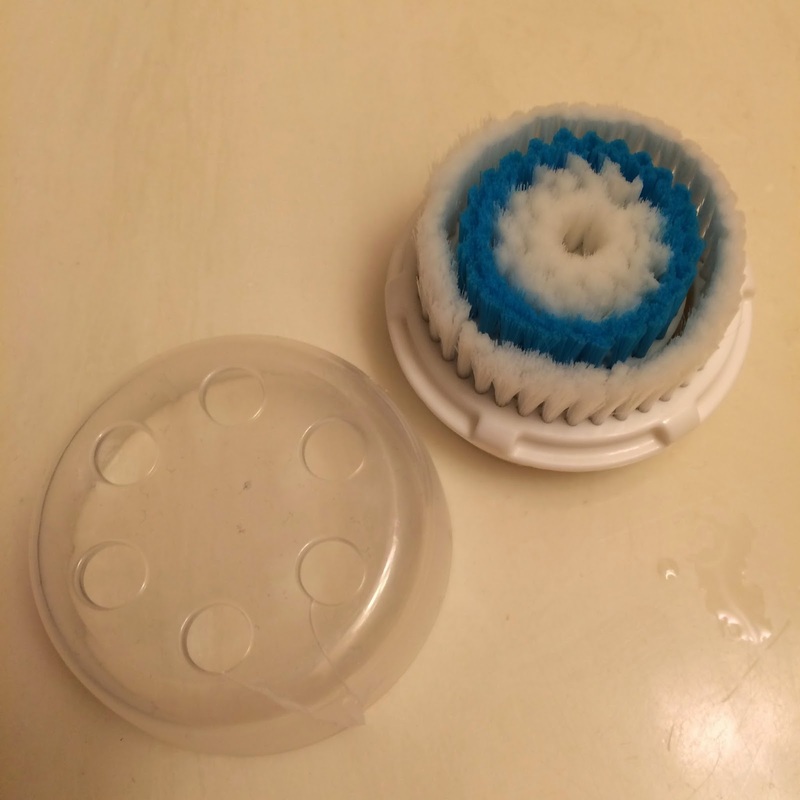 Clarisonic Deep Pore brush head - My favorite brush head, it deep cleans and gently exfoliates my skin, and I feel like it really does help prevent breakouts and blackheads. I actually cheat and buy the generic brush heads off eBay for just a $5 a piece and they work just as well as the name-brand ones. 17. 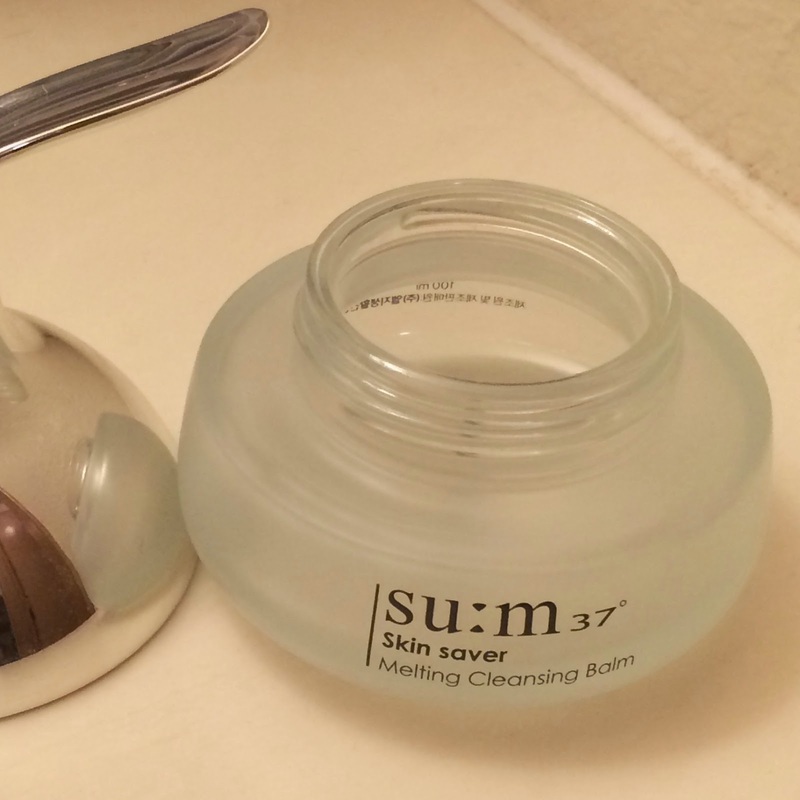 Sum37 Skin Saver Melting Cleansing Balm - This is the most amazing makeup removing cleanser on the face of the earth. I use it as the first step in my double cleansing routine and it has always been perfect. It has a nice soft consistency, it melts into the skin perfectly, washes away like milky goodness, and smells of gentle citrus. I love it, and will repurchase it as soon as I can afford to. 18. Dr Bronners Peppermint Castile Soap -This is an ok soap. I think I initially bought it to wash brushes, but I won't repurchase it. It's not as deep cleaning on brushes as I hoped and its really not good for skin either. I prefer to wash my brushes with the BeautyBlender solid cleanser, it really removes everything. And for skin, this is too drying and has way to high of a pH for me to even want to use on my body. I used this for cleaning my home instead. 19. Sephora Soft Touch Cotton Rounds - These are (imo) a bit spendy for what they are, but they really are the best I've tried so I'll continue to buy them. They don't shed, and are pretty much the perfect thickness. I love them! 20. 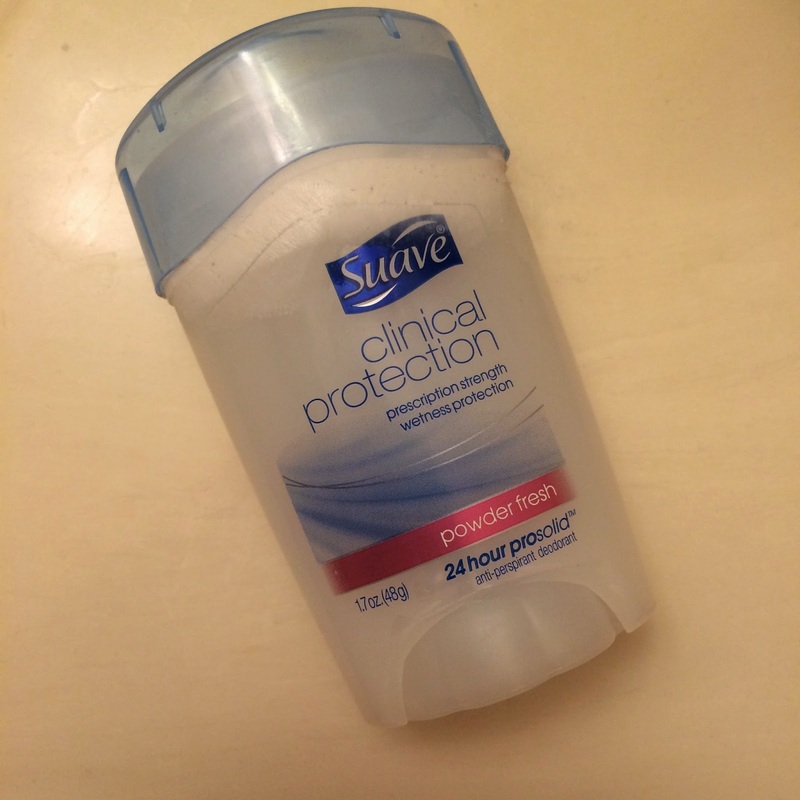 Suave Clinical Protection Anti-Perspirant Deodorant - This worked well, but took a long time to dry and the powder scent was way too strong. I'll splurge on Secret next time. 21. 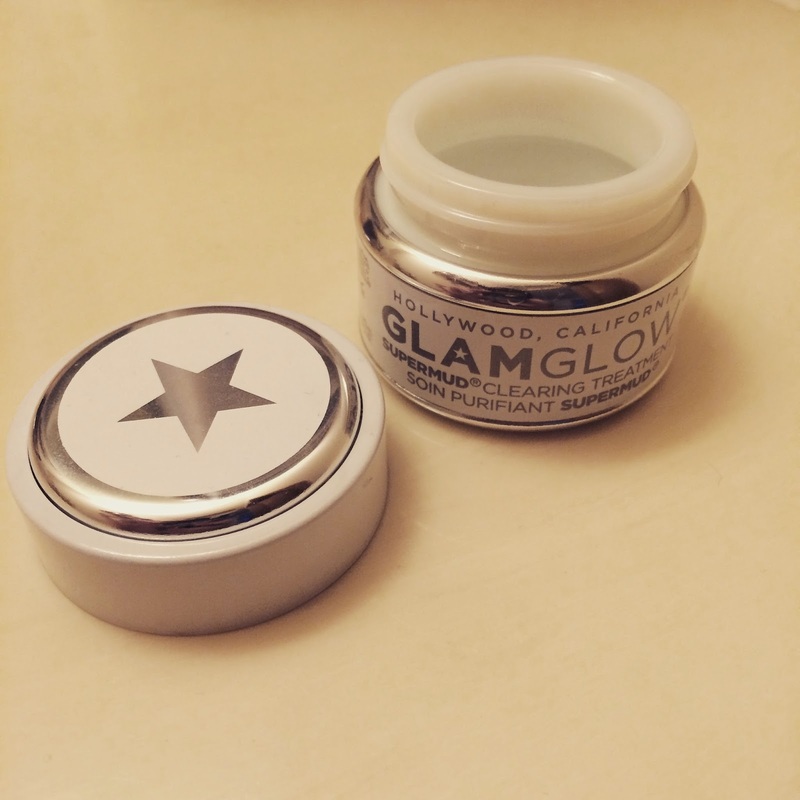 GlamGlow SuperMud Clearing Treatment - This used to be my secret weapon again breakouts, but now it just irritates my skin. It's either my aging skin or my skin getting healthier that tells me this is now too harsh for me. My skin gets super red when I use it now, even as a spot treatment, so unfortunately I will no longer be repurchasing this GlamGlow mask. 22/23/24. 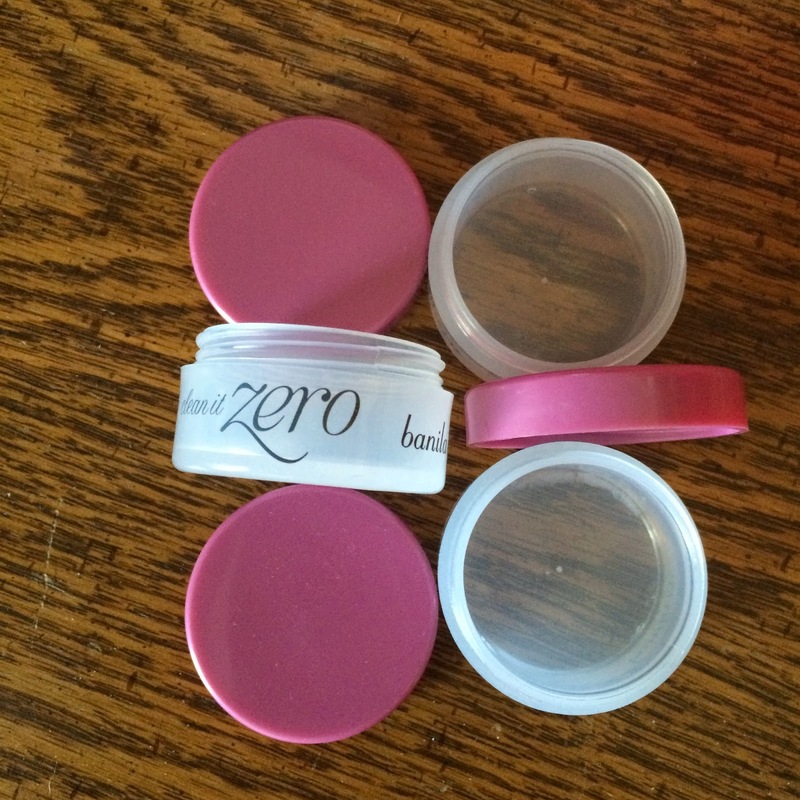 Banila Co Clean It Zero - I initially received a tiny tub like this in a past subscription box and loved it. So when I ran out of my Sum37 cleansing balm I ordered this as a cheaper replacement. I got 5 sample tubs total - I used one of these up, and consolidated the other two into the remaining two sample tubs in my bathroom. 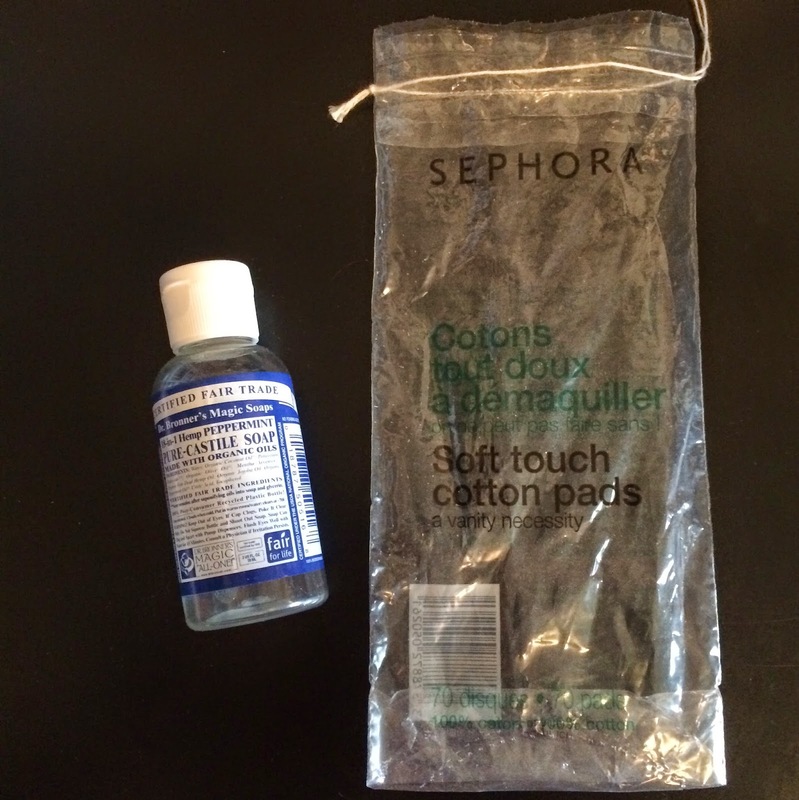 This is a great makeup remover for double cleansing. It doesn't break me out or clog pores, it removes all my makeup (even eye makeup), and rinses away nicely. Unfortunately because the samples were only half full I'm already needing to reorder a larger tub so it arrives by the time my next two samples are gone. What products did you use up this month?